In Kernahan v. Home Warranty Administrator of Florida, the Supreme Court of New Jersey refused to enforce a mandatory arbitration agreement in a home warranty contract because it lacked mutual assent. The court did not reach the argument of whether its ruling in Atalese v. U.S. Legal Services Group should be reconsidered in light of recent U.S. Supreme Court decisions. Plaintiff Amanda Kernahan purchased a “home service agreement” from defendants Home Warranty Administrator of Florida, Inc., and Choice Home Warranty (collectively, defendants). When she became dissatisfied, she filed a complaint in Superior Court seeking statutory and common law relief. Plaintiff claimed that the agreement misrepresented its length of coverage and that the deceptively labelled “MEDIATION” section of the agreement failed to inform her that she was waiving her right to a jury trial and would be deterred from seeking the additional remedies of treble damages, punitive damages, and attorney’s fees and costs. Defendants filed a motion to dismiss the complaint with prejudice in favor of arbitration, citing the alternative dispute resolution provision. The trial court denied defendants’ motion to dismiss, concluding that the arbitration provision is unenforceable. The court found the provision both ambiguous and noncompliant with Atalese v. U.S. Legal Services Group, L.P., 219 N.J. 430 (2014),“in either its form or its function.” The trial court reasoned that the provision does not contain clear language that would inform the consumer she is agreeing to arbitrate all disputes and that she is waiving her right to a jury trial. The court cited the provision’s failure to convey unambiguously to a consumer that there is a difference between resolving a dispute in court and resolving it in arbitration. The Appellate Division affirmed. The Supreme Court of New Jersey also affirmed. It held that held that the mandatory arbitration agreement was unenforceable because it lacked mutual assent. 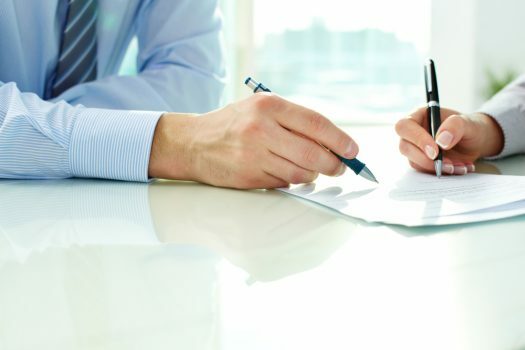 Under New Jersey law, a court must determine at the outset whether an arbitration agreement is the product of mutual assent, just as it would for any contract. Under the New Jersey Supreme Court’s decision in Atalese v. U.S. Legal Services Group, an arbitration agreement is unenforceable unless it affirmatively explains that the contracting party is waiving the right to sue in court. On a macro level, the contract fails to signal to consumers that it contains an arbitration provision affecting their rights because the alternative dispute resolution provision’s “arbitration agreement” is located within a section labeled “MEDIATION…” The provision’s terms cannot be read to provide clarity to a consumer that she was agreeing to arbitration, or what that term, in the context of confusing references to mediation or mediation rules, actually meant. Indeed, mediation and arbitration are distinct and different procedures. Even if defendants maintained that argument, we would not need to address any perceived conflict between those cases because the threshold issue of whether the instant provision’s language contains sufficient clarity to form any agreement about arbitration is easily answered. This provision does not meet the rudiments for showing a mutual assent to have arbitration be the only means of dispute resolution permitted to plaintiff, necessarily foreclosing her from pursuing her right to bring an action in court.